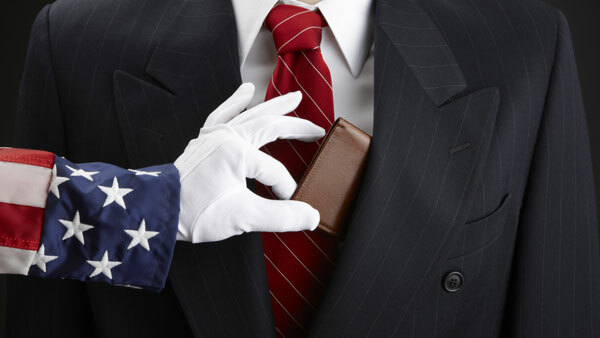 International tax lawyer Andrew Mitchel explains why, for some American-born expats, the costs of U.S. citizenship have exceeded its benefits. For many Americans living abroad, the burden of the U.S. tax code is so onerous it outweighs the benefits of citizenship. The number of Americans voluntarily renouncing their citizenship climbed to a record high in 2014, up 14% from the previous year’s total, according to figures released Tuesday by the Internal Revenue Service. The Federal Register will publish the names of the 1,062 individuals choosing to expatriate in the fourth quarter in the Federal Register on Wednesday. That figure is the second highest on record and brings the 2014 annual total of expatriating individuals to a record 3,415, surpassing the previous record of 2,999 reached at the end of 2013. Of course, that pales in comparison to the 780,000 foreign-born Americans who naturalized in 2013, the last year for which the Department of Homeland Security has complete statistics. But last year’s total expatriations were nearly 10 times the figure reached in 1998, and the numbers of individuals choosing this drastic move have generally increased steeply in recent years, according to data maintained by international tax attorney Andrew Mitchel, who has tracked the trend on his blog. While the annual toll of expatriating Americans used to fall in the hundreds, the total first hit the four-digit level in 2010. It is impossible to know what has motivated each of these individuals, but 2010 was the year Congress enacted the Foreign Account Tax Compliance Act (FATCA), which increased the tax compliance burdens of U.S. citizens living abroad, requiring them to file IRS Form 8939 (“Statement of Specified Foreign Financial Assets”). That measure duplicated Americans’ already existing so-called FBAR filing requirements under a separate law aimed at preventing money laundering and tax evasion, by which both U.S. citizens and their foreign financial institutions must report transactions worth over $10,000. Taken together, these various laws have multiplied tax headaches and increased fears of potentially crippling penalties for Americans living abroad who, even in good faith, fail to comply with a morass of nettlesome legal obligations. “A lot of U.S. citizens living outside the U.S., who don’t anticipate ever living in the U.S. again, are frustrated with the amount of paperwork and complexity of the U.S. tax forms they have to file; and furthermore, they’re scared because they’ve often missed filings they should have been filing and worry they will have to pay penalties,” Mitchel tells ThinkAdvisor in a phone interview from his Centerbrook, Connecticut, office. The fear factor is in proportion to FBAR penalties that can reach 50% of the maximum balance an account held, going back six years, if the U.S. citizen was deemed to have purposely failed to file. So if a U.S. citizen held $1 million at one time in a foreign bank account, he may be liable for half of that amount times six, or $3 million. “People feel they can go bankrupt from U.S. [penalties],” Mitchel says. Some Americans who are not attempting to engage in illegal activity, but may be busy with their daily lives, not getting good advice from their CPA or simply become paralyzed by fright, can wind up in a world of pain. “If you learn about [FBAR] but you’re scared and then a year goes by [without filing]—all of a sudden you’re committing a criminal act. Some people will just try to hide under a rock,” the tax attorney says. Clients, often referred by CPAs, will often contact Mitchel to “fix” the problem, which can be compounded by an IRS that “goes through phases,” he says. Sometimes the U.S. tax authority just wants U.S. expats to get back on track with voluntary disclosure forms, going easy on penalties. At other times, it has seemed that “people were treated more leniently if they didn’t enter the voluntary disclosure program […]. The IRS has not really been fair in applying rules consistently,” says Mitchel, who has served international tax clients for over 25 years. The attorney says that at some swings of the pendulum, the IRS’ perception has been that those entering voluntarily disclosure programs had intentionally evaded their tax responsibilities. Mitchel’s observation is that many non-compliant expats knew they should file but were simply negligent and often didn’t even owe any tax. The international tax lawyer typically helps clients structure a tax-efficient overseas business with a U.S. operation rather than the reverse. These business people naturally have foreign assets. Some were working at a large multinational firm when they were transferred overseas; others were born in the U.S. when their parents were living here, but they spent nearly their entire lives abroad. Tax compliance is a greater burden for expatriate U.S. citizens, taxed under a worldwide income system regardless of which country they reside in, than for most of the world’s expats, who are only taxed when residing in that country. The individual is a citizen of—indeed a government official of—a European country, in whose army he served; the country has a high rate of taxation, so he clearly was not seeking to dodge lower U.S. taxes. “He was dreading the fact he was a U.S. citizen, he wished so badly he wasn’t a U.S. citizen […]. It was a nightmare to him to be a U.S. citizen,” Mitchel recalls, because of the threat of tax penalties to which he was subject. Thankfully, a new program, that only commenced last July, enabled him to certify his non-willful failure to file; prior to that program, the passage of one year without filing placed him in the category of a criminal. U.S. tax law is also a snare for U.S. citizens in situations that are far more ordinary—those likelier to be encountered by financial advisors whose clients decide to retire in lower-cost locales such as Costa Rica. “In various countries, Costa Rica being one of them, if you are going to buy real estate […] the local advisors will often recommend you form a corporation […] to hold the real estate because you can avoid some transfer taxes,” Mitchel says. Mitchel often hears from distressed Americans who learn all this after the fact, and who must now file IRS Form 5471 along with intrusive requirements for financial statements, disclosures and the risk of $10,000 penalties that can be applied not simply for failure to file but for inadequately filing. A wholly separate snare involves passive foreign investment companies (PFIC), which an American may inadvertently come to own shares in simply by buying a foreign mutual fund. Because of all the rules involved, including payment of higher-taxed ordinary income rather than capital gains and interest charges, it’s nearly impossible to come out ahead with this kind of investment. The solution for most U.S. expats would be to buy U.S.-based mutual funds, though even that is not so straightforward. Australia, for example, has its own PFIC rules, says Mitchel, so a U.S.-born resident of Australia encounters trouble either way he goes. A third, possibly safer approach entails buying shares of companies directly through a foreign brokerage account, then disclosing it on both your FBAR and 8938 forms. With all the difficulties attendant on U.S. expats, Mitchel recommends the unpleasant task of learning all the rules yourself. “Even if they’ve got a CPA, they should read the form themselves and understand the rules. The CPA looks at your [case] once a year, maybe twice a year; but individuals know their own circumstances. They should know which forms need to be filed,” he says. But, Mitchel says, some American-born expats have figured out that the costs of U.S. citizenship have exceeded its benefit. — Check out Global Clients Need Global Advisors on ThinkAdvisor.